If you’re not happy with the way your home looks then try brightening it up. Your furniture might be looking a little dated, your carpets might be worn out and you might need new stair cladding in order to replace archaic wooden steps. you can make these changes easily, really brightening up the entire house. Your home is important and feeling comfortable and happy with it can really help you kick-start the day with a smile. Try these few steps to give your home a new lease of life. Carpets can become extremely worn out over the years and, as this happens, they thin and become very dirty. You want a floor that not only looks nice but fits in well with your home. There are hundreds of colours but, if you’re looking to add something different to the room, go with a solid colour. If you’re not keen on a carpet, go with a wooden floor. It will still add a unique sense of style and, because of the smooth surface, it allows light to bounce from it creating a lighter space. Instead of ripping the lot out, stair cladding allows you to cover your old stairs to create a beautiful new set. Solid oak stair cladding looks beautiful, shiny and new when well maintained for years after installation. You don’t need to spend a fortune in order to brighten up your home up and stair cladding could really help you cut costs. Treads and risers ensure that your staircase looks the way that you want it whilst fitting together perfectly. It’s simple, easy to do and will give your home the bright feeling that you’re looking for. If you’re really unhappy with some of the furniture, replace it. It will give you the ability to start fresh and create a space that you're happy with. If you're going for a new sofa, make sure you pick something that not only looks great but is easy to maintain. You want your new furniture to last so taking care of it is vital. New tables and chairs may brighten up your otherwise dull kitchen, and it could also bring your family together for those all-important family meals. Create a haven for you and your family and make your house a home by brightening it up a bit. 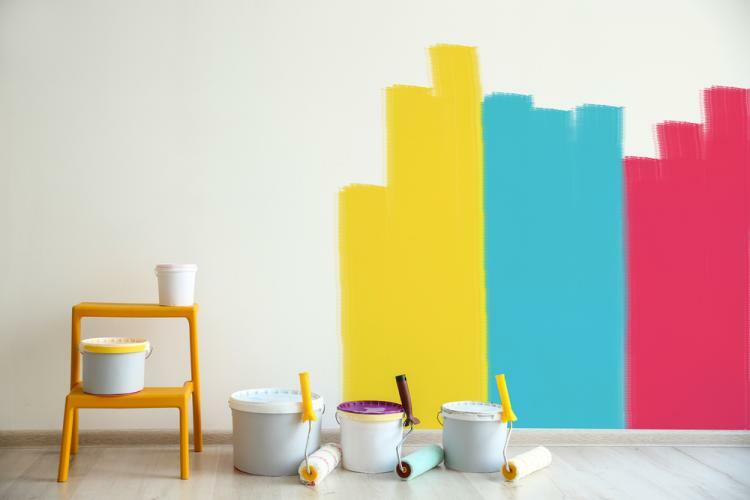 Give your home a great new look with some of these tips. Once it’s done, you will be able to sit back, relax and enjoy. For more information on Blueprint Joinery's range of services, call our team today on 01691 671020.